OK, time for my Golden Globe reactions. First of all, I think it's pretty obvious that the HFPA didn't go wild for Into the Wild (despite scoring the most Critics Choice nominations just two days ago). They snubbed it for Best Picture (for The Great Debaters! ), Best Director, screenplay, and perhaps most egregiously, Hal Holbrook for Best Supporting actor, replacing him instead with John Travolta in Hairspray. Although they did nominate it for Best Score and Song. Now I understand that my beloved Wild's Oscar chances are not particularly great, I have accepted that. Just as I accepted last year that Children of Men was not an Academy friendly movie. But to ignore Holbrook's heartbreaking performance is just staggering. 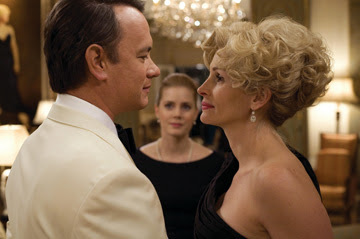 And especially for a fun but gimmicky turn in drag and a fat suit from John Travolta. It's just another case of the HFPA fawning over stars, while ignoring one of the year's finest performances. I have no doubt that the Academy will rectify the Globes' mistake. Next week's SAG nominations should put Holbrook back on track. Also MIA is Tommy Lee Jones, who turned in two bravura performances this year in In the Valley of Elah (which has unjustly been ignored this awards season) and No Country for Old Men. He was also ignored by the Broadcast Film Critics Association, which does not bode well for his Oscar chances. I would love to see him nominated for his beautifully understated performance in Elah as a grieving father searching for his son who went AWOL upon returning from Iraq, but it's looking less and less likely. They need to pick a performance and honor him for a year's worth of great work. In other news, American Gangster is back in the race, scoring 3 nominations - Best Picture, Best Actor (Denzel Washington), and Best Director, a clear indication that they really liked it. And Atonement scored 7 nods (the most of any film this year) and reminded us all why it's still one of the Academy front-runners despite ecstatic critical response to No Country for Old Men. It's an Academy movie up one side and down the other...No Country is a bit harder to digest. They surprised us by handing out 7 Best Picture nominations in the drama category, with a surprise nod for Denzel Washington's The Great Debaters and David Cronenberg's Eastern Promises. 7 nods and no Into the Wild or Assassination of Jesse James by the Coward Robert Ford in sight. Now it must be pointed out that the Globes and the Academy are never fully connected. Two years ago, Crash, Capote and Munich were all absent from the Best Picture nods at the Globes, but went on to score nominations at the Oscars (where Crash eventually won). So a snub here doesn't necessarily indicate lack of Academy support (but it doesn't help either). 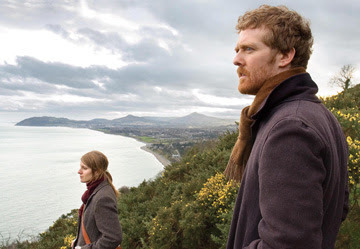 It also must be pointed out that John Carney's tender Irish musical Once was snubbed completely - even in the Best Song category (and it really belonged in the Best Picture - Musical/Comedy category as well). Which just goes to show how blind (and deaf) the HFPA can be. The gorgeous theme song "Falling Slowly" will doubtless get an Oscar nod though, so justice will be served. But how can they nominate "Despidida" from the horrid Love in the Time of Cholera and ignore one of the finest musical films in years? AND they left out Hairspray's "Come So Far (Got So Far to Go)," which is better than any of the songs they actually did nominate, and they actually liked that film. So whatever. I was glad to see Into the Wild's "Guaranteed" get noticed, but that's not even the best song from that film - that title goes to "Society." "That's How You Know" from Enchanted is the best in this crowd. In the Best Original Score category, I was glad to see Howard Shore's Eastern Promises shown some love, and Clint Eastwood's bittersweet score to Grace is Gone is the best of his career, but I was sad to see last year's winner Alexandre Desplat (for The Painted Veil) not get noticed for his haunting music from Lust, Caution. 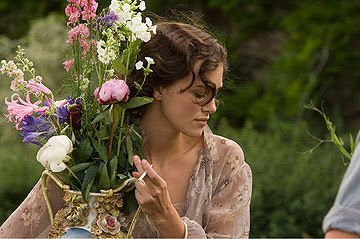 I have yet to hear Atonement (more on that Tuesday), but I have heard great things. My favorite here is the moving Afghan rhythms of The Kite Runner, which I hope brings Alberto Iglesias some overdue Oscar attention (he was nominated once before for The Constant Gardener). And of course, as I predicted, the HFPA LOVED Charlie Wilson's War, handing it 5 nominations...more love that it will get from the Academy. The Julia Roberts nomination is a clear indication that the Globes will nominate you as long as they know your name. Don't look for her to repeat that success at the Oscars.